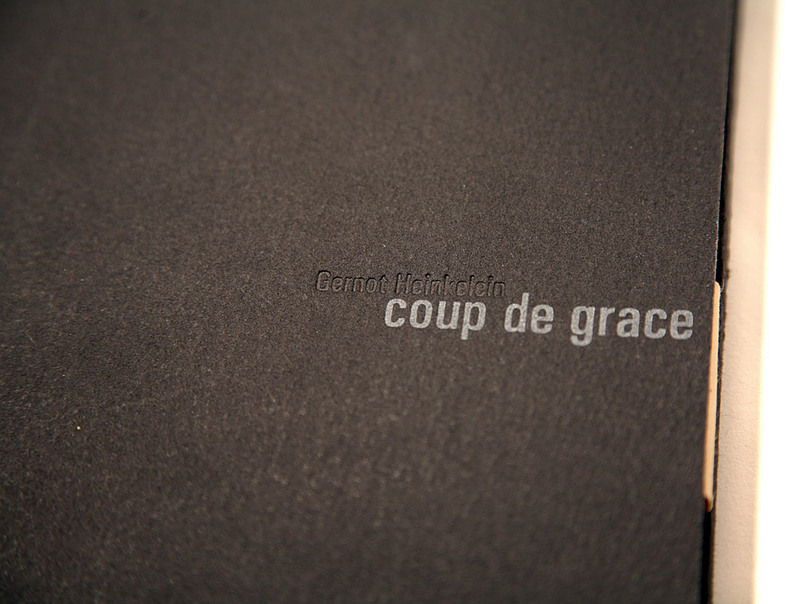 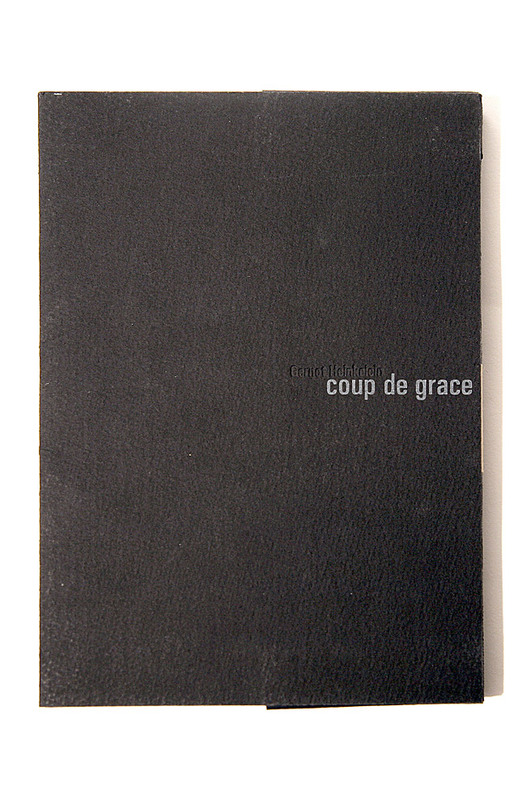 This poems collection is called Coup de grace / Zwischenstation and was self-published in Frankfurt / Main, Germany, in December 1998 in a limited edition of 100. 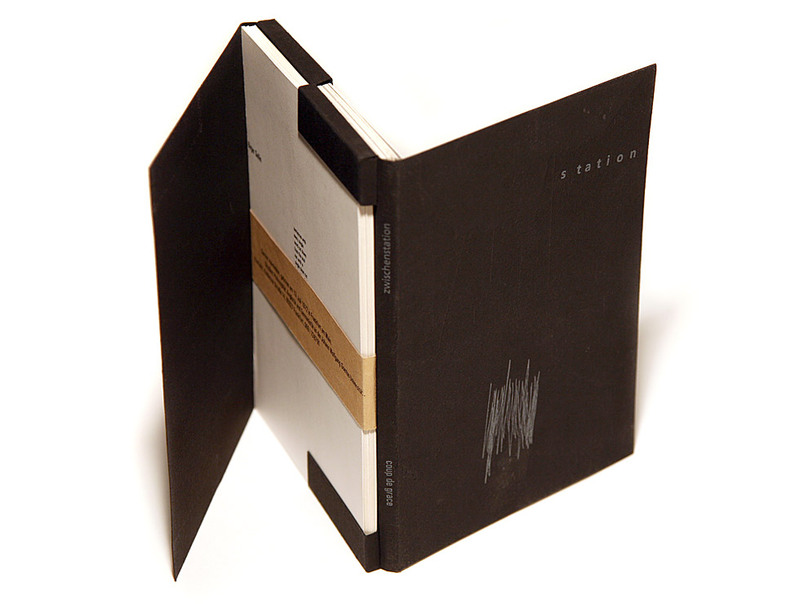 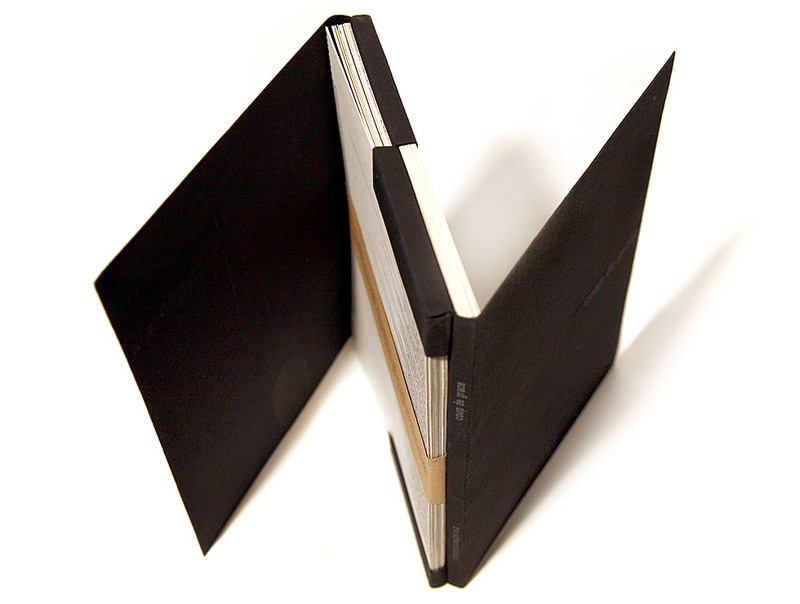 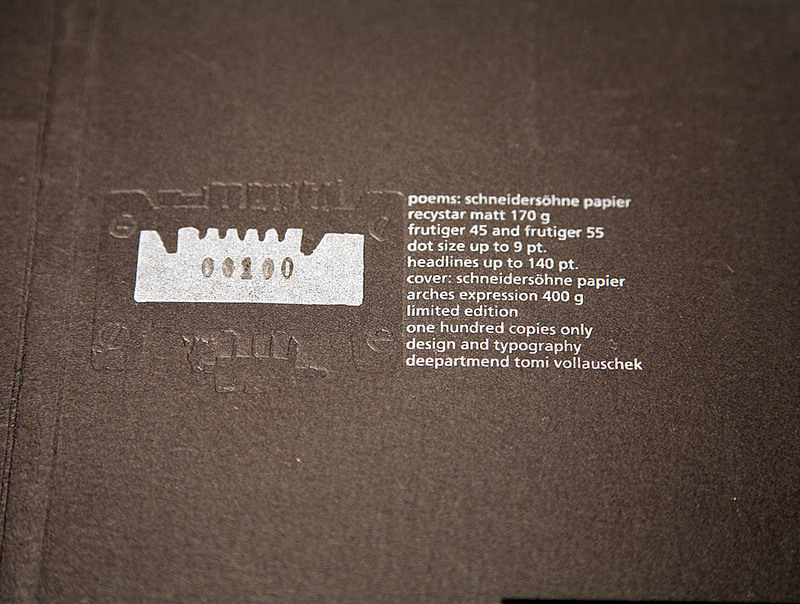 ___ It features poems by authors Bartosz Maj and Gernot Heinkelein. 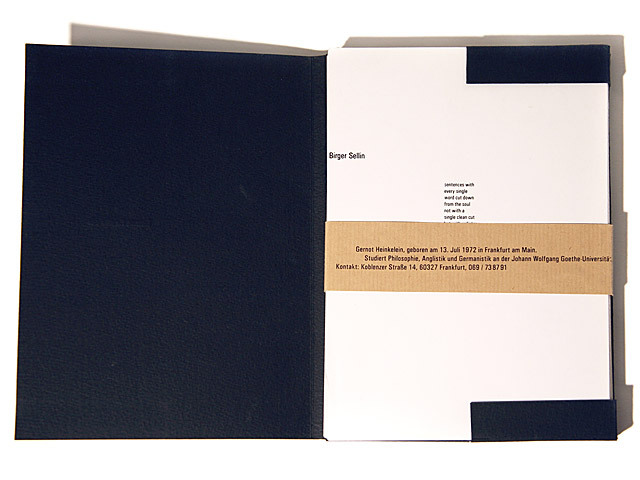 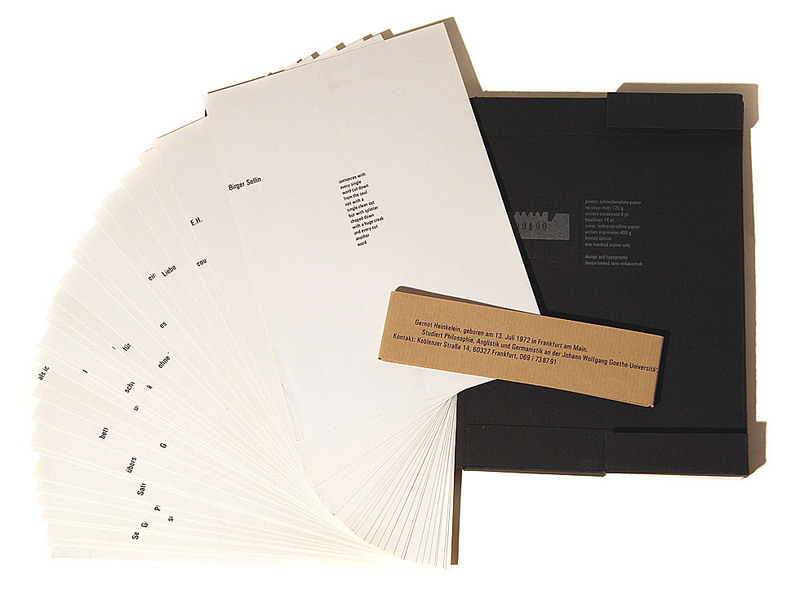 The poems are printed on loose sheet 170g stock (Schneidersöhne, Recystar matt) offering the reader the possibility to change the order according to personal taste. 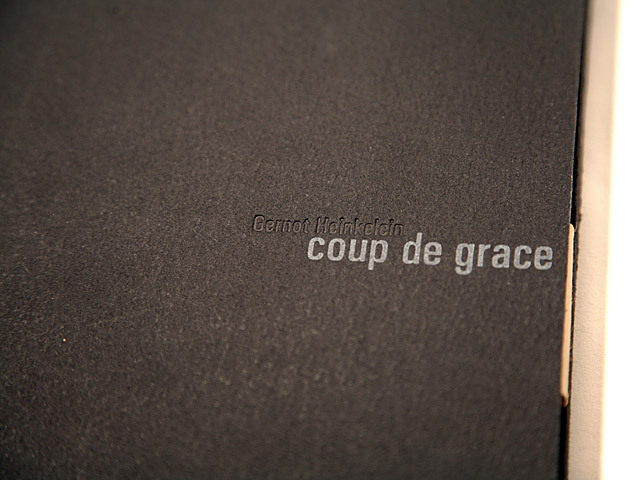 ___ Gernot Heinkelein's Coup de grace collection is typographically rather minimal reflecting the extremely direct and straight-forward language and feeling of his work. 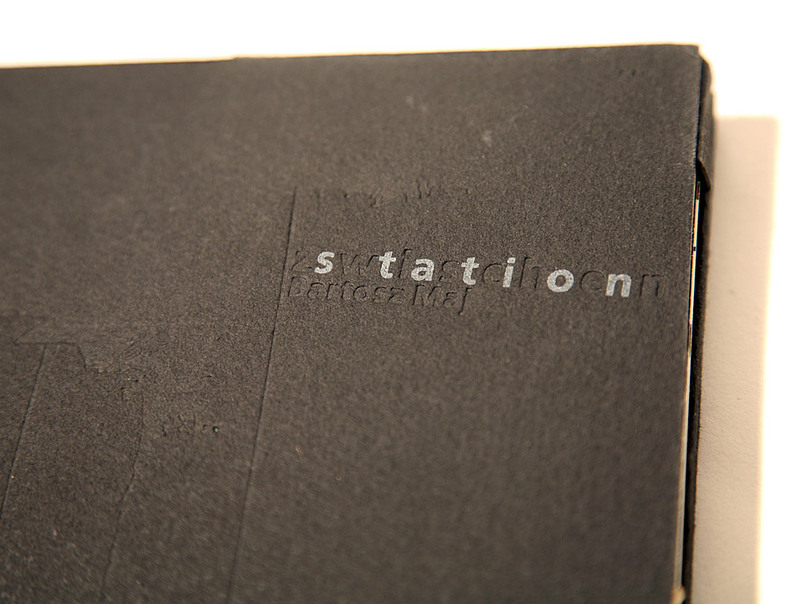 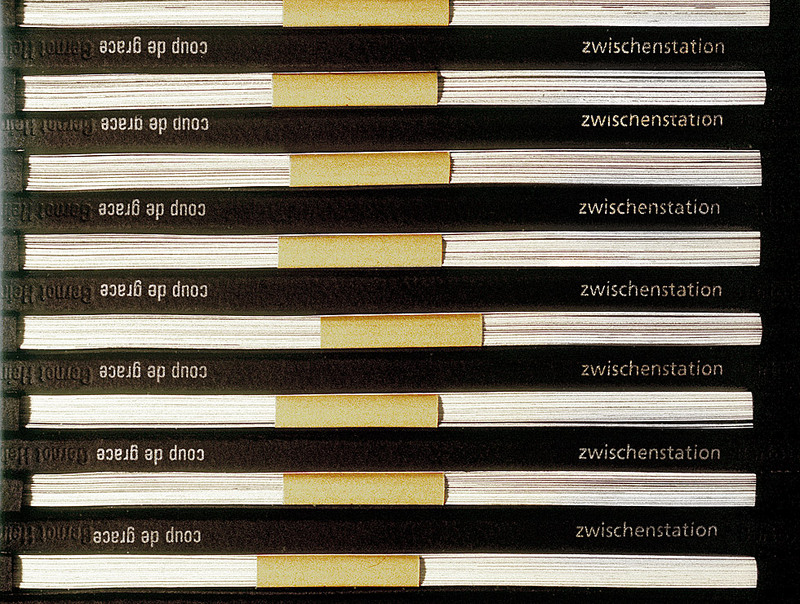 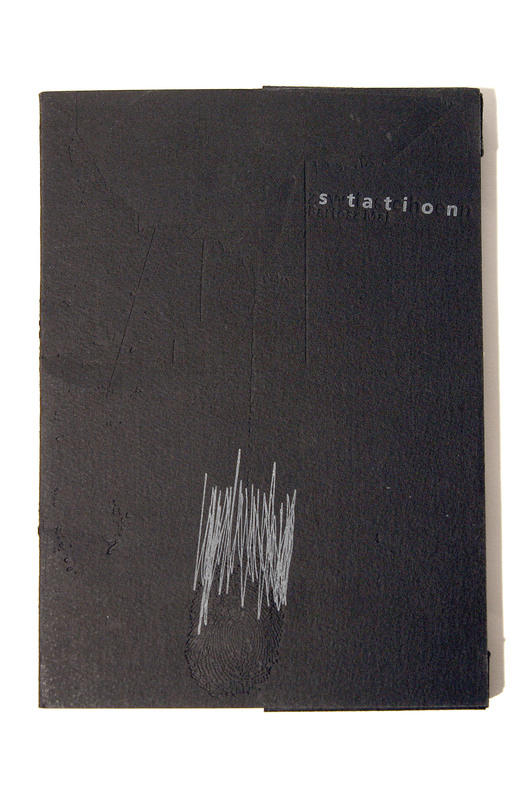 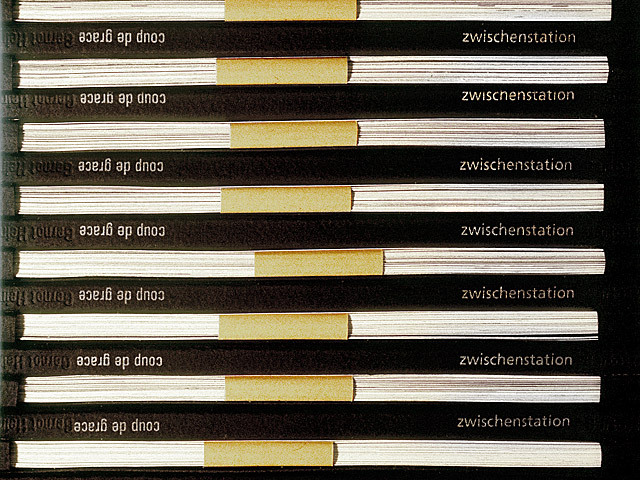 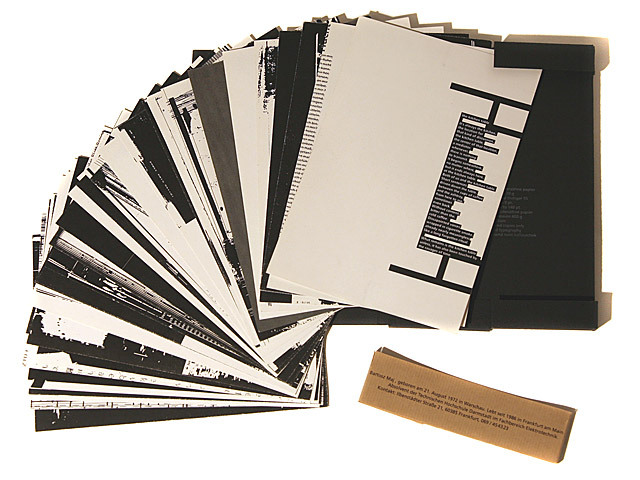 ___ Bartosz Maj's Zwischenstation in contrast is a more abstract, more emotional, sadder and wilder part of the book and is therefore designed using individual typographic illustrations of a chosen aspect of each poem. 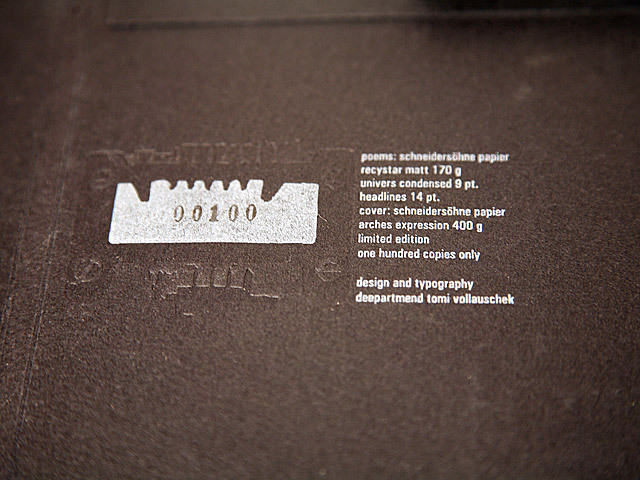 ___ The cover of this publication is handmade using embossing and a rather complicated cover concept which was produced using one sheet of 400g stock (Schneidersöhne, Arches expression). ___ Each copy has its individual edition number printed on its back. 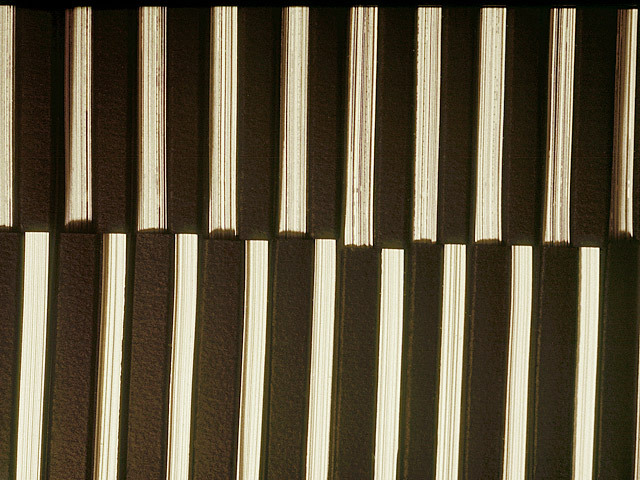 ___ The last picture (the scanned Polaroid) is from 1997. 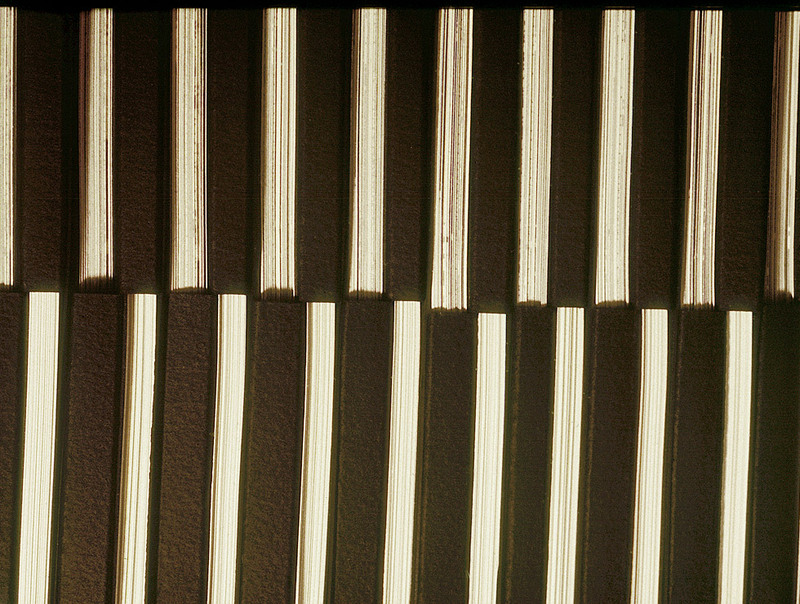 A rare work in progress shot showing both authors in action.